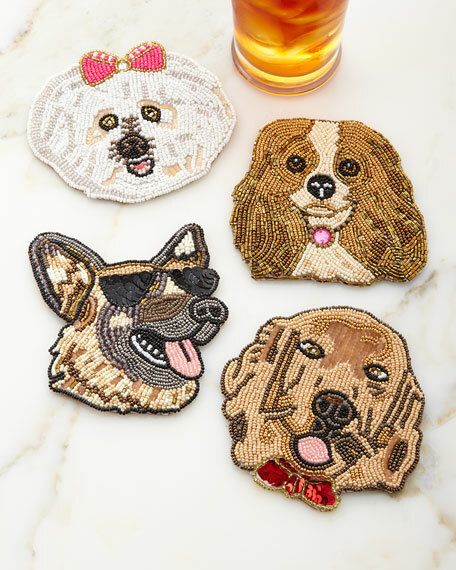 Set of four dog breed coasters. Glass and plastic beads on cotton backing. Designer Kim Seybert combines personal study in Old World techniques with a sense of current style to create uniquely elegant pieces for the home. Since 1997, her beaded and embroidered designs have helped to redefine beauty in home decor. For in-store inquiries, use sku #2293439.